Noreen’s remit is to hold the vision their organisation is working towards and ensure that as an organisation they embody the co-production principles. She defines their areas of strategic focus in order: a) to serve members’ needs b) to oversee and participate in delivery and c) to build relationships both internally and externally. I am half Chinese half French, and I grew up bilingual, speaking English and French. I have a unique perspective and breadth of experience, and I also know what it’s like to be “different”. As an inclusive leader, I strive to invite people in. Through my coaching practice I grasped that we have the resources we need to solve all our problems; as a facilitative leader I provide the space for this wisdom to emerge. As an introvert and a reflective leader, my thoughtful attention to detail combines with my ability to think strategically. I am measured yet bold. What have been the main highlights and challenges since taking up your leadership role with Co-production Network for Wales? I came into post in November 2017. I gave myself 4 months in which to catch up on the lack of strategy, infrastructure and delivery, and the dismal performance of the first 14 months – mainly due to staff churn. It would have been damaging for the organisation and for the co-production agenda generally, to waste this opportunity. Highlights include moments of shared laughter in our team; receiving unsolicited feedback from members about “the staggering change in the Network”; the re-engagement of members and our increasing credibility as an organisation, evident at the recent national conference. Pick your team carefully and surround yourself with the right people. What do you think is the biggest issue facing leaders in Wales in 2018? Speaking from within a social change context – the “wicked” problems we are seeking to address will never be resolved. They exist in complex adaptive systems and we *have* to get comfortable with uncertainty, learn to navigate change, and draw on all the resources at our disposal – with humility. Mark Drakeford: a clear, inspiring public speaker; pays attention and remembers people’s names. Rick Wilson (Community Lives Consortium): mediator, bridge builder, compassionate and humble. Adrian Bailey (SCVS): down to earth, grows people’s capacity starting from where they are. Alicja Zalesinska (Tai Pawb): outspoken, determined, has built a strong and effective team. Michelle Reid (Cynon Taf): genuine, funny, uses humour to ask pointed questions, constructively challenging. Jess Blair (ERS): young, dynamic, gets things done in a no-nonsense way, extraordinarily well connected. 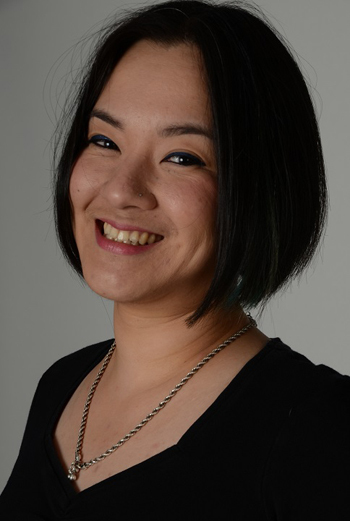 Shoko is responsible for leading and developing Celtic English Academy, the largest British Council-accredited English language centre in Wales. The Academy welcomes 1000+ international students annually, from 55 different countries worldwide. 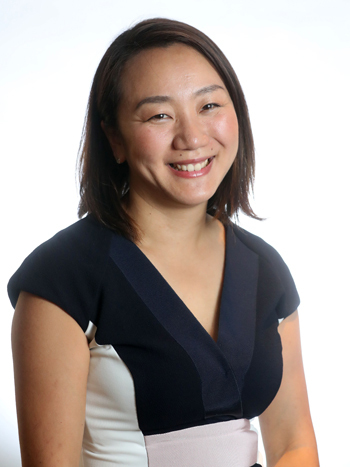 Shoko oversees the Finance and Marketing departments, and alongside the COO, manage a company of 50 employees with £2.5 million turnover. My father taught me that education and knowledge plant seeds for the future and are the greatest assets you can have. Throughout my childhood I learnt music and always wanted to be a professional musician. This was why I came to Wales, to study at the RWCMD. Through music, I learnt self-discipline; the hours of practice, never imposing a glass ceiling or giving up, collaboration, thinking outside the box, and together you can achieve something remarkable. Living abroad, meeting new people and working in a unique international environment also increased my curiosity and willingness to face challenges, learn and adapt. What have been the main highlights and challenges since taking up your leadership role with Celtic English Academy? People are both my challenge and my highlights. Being motivated, fair, consistent, and decisive in order to lead the organisation, as well as being honest and human to myself and my staff, has been a real challenge. Building a team with the right ethos and culture, challenging them to think beyond their own self-imposed limitations, and supporting them through good and difficult periods. Our organisation changed many employees’ lives and equally all of us share in our students’ success by teaching English and offering intercultural experiences. It is great to know that we are a part of those successes. Not hesitating to take the “risk” by hiring people who might have believed that they have some kind of disadvantage. If they have the right ethos, skills or potential to grow, we can work together by believing in them, offering opportunities and the right training, and meeting individual needs. People young and old who haven’t had the chance to find suitable opportunities and thrive in their career for various reasons such as not finding their path, or breaks with motherhood or illness. There is great potential out there but there aren’t enough supporting networks for skills development, inspiring and confidence building. Dr.Bob Childs, Head of Brass Band Studies at the RWCMD for his passion and inspiration. I learnt so much from him by having first-hand experience working with him but I now respect him even more since I started leading a company for his determination, ability to enthuse and transform organisations. Arwain pob agwedd ar ddysgu ac addysgu o fewn y Ganolfan Dysgu Cymraeg Genedlaethol yw fy rôl. Golyga hyn lunio cwricwlwm newydd ac adnoddau dysgu proffesiynol i gefnogi’r cwricwlwm, gweithio’n bartneriaethol i arwain prosiectau i gefnogi dysgwyr, a chysoni arferion ansawdd ar draws y sector. Helen’s role is to lead on all aspects of teaching and learning within the National Centre for Learning Welsh. This entails devising a new curriculum and professional resources to support the curriculum, working in partnership to lead projects to support learners, and standardising quality assurance systems across the sector. Credu mewn gwneud gwahaniaeth i sefyllfa’r iaith Gymraeg a thrwy hynny gyfoethogi bywydau unigolion ar yr un pryd sydd yn fy nghymell fel arweinydd. Fel tiwtor, dysgais yn gynnar iawn bod parchu pob unigolyn mewn dosbarth, gan ofalu am eu hanghenion nhw a defnyddio eu cryfderau yn holl-bwysig. Mae’r rhain yn ddwy egwyddor yr anelaf at eu rhoi ar waith wrth reoli staff. Ceisiaf bob amser arwain trwy esiampl ond rwyf yn hapus iawn pan fo gan bobl yn y tîm sgiliau gwell na fi mewn meysydd penodol er mwyn cyflawni’r safonau gorau posib fel tîm. Striving to make a difference to the Welsh language and by doing so enhancing the lives of individuals drives me in my role as a leader. As a tutor, I learnt very early in my career how important it is to respect every individual in every class, caring for their needs and playing to their strengths. These are two principles I also strive to achieve as a leader. I try to lead through example but am happy to work with people who are more skilled in specific areas so that, as a team, we can achieve the highest standards possible. What have been the main highlights and challenges since taking up your leadership role with National Centre for Learning Welsh organisation? Un uchafbwynt yw gweld llwyddiant cynllun ‘Siarad’ lle mae siaradwyr Cymraeg yn paru gyda dysgwyr a’u cynorthwyo i fagu hyder ac ymarfer eu sgiliau newydd. Rhaid rhoi hyder i ddysgwyr, fel gallant ddod yn siaradwyr newydd ac mae ‘Siarad’ yn gam yn y cyfeiriad cywir. O ran her, mae’r Ganolfan yn gorff strategol newydd mewn maes lle na fu cydlynu canolog yn y gorffennol. Er mwyn sicrhau cysondeb, cyflwynir gwerslyfrau cenedlaethol y bydd pob tiwtor yn eu dilyn. Un her fu gweithio gyda thiwtoriaid a fydd yn wynebu’r newid hwn a’u cynnwys yn y broses, er mwyn sicrhau eu bod yn cofleidio’r newid. One highlight is the success of ‘Siarad’, a new scheme where Welsh speakers pair up with learners to help them practise their new skills. We must give learners confidence to become new Welsh speakers and ‘Siarad’ is a step in the right direction. Challenges stem from the fact that the Centre is a new strategic body where there was previously no national coordination. We are introducing new national text books which is taking the current autonomy away from our providers. It is a challenge to work with tutors facing this change and include them in the project, so that they feel a sense of ownership. Mae ‘Siarad’ wedi profi bod llawer o ewyllys da’n bodoli tuag at ddysgwyr a bod angen sianelu’r egni yn weithredoedd. Mae gweithio gyda thiwtoriaid wrth ddatblygu y gwerslyfrau cenedlaethol wedi dangos bod parchu barn pawb a chynnwys eu syniadau, os yn briodol, yn gallu troi unrhyw deimladau negyddol yn ddeilliannau cadarnhaol. ‘Siarad’ has demonstrated the good will that exists towards adult learners which needs to become positive actions. Working with people facing innovative developments has taught me to respect everyone’s opinion and use their ideas, if appropriate, in order to turn any negative feelings into positive outcomes. Rhaid i ni arwain er mwyn creu newidiadau er gwell a rhoi hyder i’n pobl ifainc. O fewn hinsawdd economaidd ansicr, hawdd iawn yw bod yn negyddol yn hytrach na chreadigol. Rhaid i ni wneud yn siŵr ein bod yn gallu gwneud gwahaniaeth. We must lead in a way that demonstrates that change for the better is possible and instil confidence in our young people. Within an uncertain economic climate, it is too easy to be defeatist and negative, rather than creative. We need to ensure that we can make a difference. Gwerthfawrogaf waith Betsan Powys yn Radio Cymru ac Elen Elis yn yr Eisteddfod Genedlaethol. Dengys y ddwy arweiniad cadarn wrth greu newid – Betsan yn sefydlu Radio Cymru 2 ac Elen yn gweithio i greu gŵyl ddeniadol a chynhwysol. Ond edmygaf bobl sy’n arweinwyr yn eu cymunedau, pobl fel Cennard Davies yn Nhreorci. I appreciate the leadership of Betsan Powys (Radio Cymru) and Elin Elis (National Eisteddfod). Both show strong leadership in their quest for progress – Betsan establishing Radio Cymru 2 and Elen creating a dynamic and inclusive festival. However, I admire people who work tirelessly as community leaders, people like Cennard Davies in Treorci. 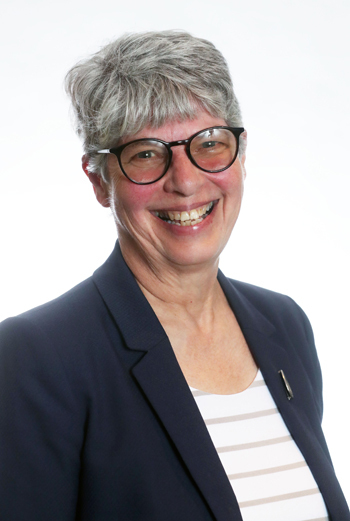 Fran provides inspirational leadership to the Citizens Advice service in Wales to deliver the advice people need for the problems they face and to improve the policies and practices that affect their lives. 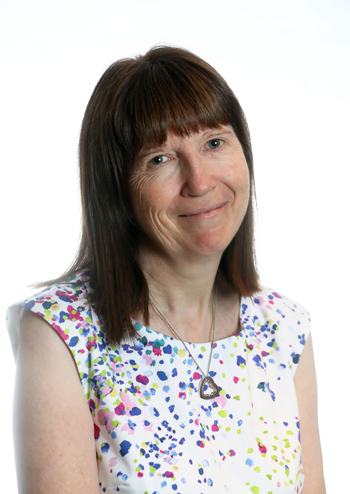 She has the responsibility to ensure that Citizens Advice Cymru delivers leadership and an influential voice for the wider advice sector in Wales. My parents instilled my belief that we should judge our society on the treatment of our most vulnerable member, injustice must be challenged and that women are capable of great things. Being a young parent facing severe economic hardship taught me resourcefulness and positivity. I am fortunate to be inspired by the aims and principles of Citizens Advice, reinforcing my passion for pursuing people’s rights. The support of family, colleagues and friends has been integral to my success and drives my collaborative approach to leadership, believing that people are capable of great things if encouraged to believe in themselves. What have been the main highlights and challenges since taking up your leadership role with Citizens Advice Cymru? Encouraging team members to grow and develop and giving opportunities to stretch, support to deliver while holding appropriate responsibility and accountability. My team – excellent demonstration of upwards management!